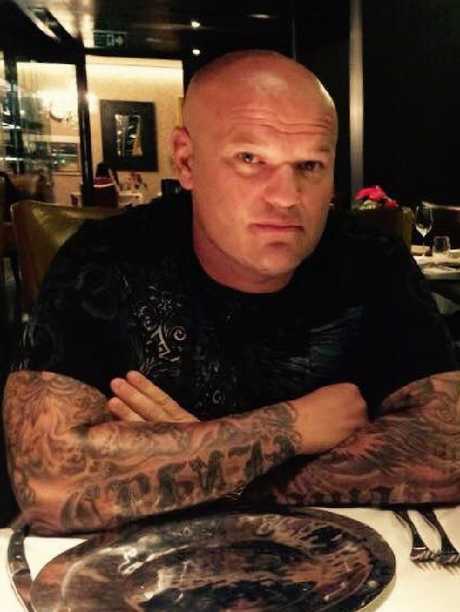 "AGGRESSIVE and violent" drug kingpin Ivan Tesic paid corrupt NSW police for information, and his $500,000 bail was posted by a Sydney brothel owner with connections to a convicted gunman. The son of a factory worker turned Gold Coast nightclub owner, Tesic also sent text messages that suggested he "intended to" make a "revenge attack" on people who chopped off the ears of his drug mule, Darren John Dark, 49, and burned his body in NSW on October 11, 2013. Dark survived but was replaced by the mule who turned police informant and ultimately brought down the 45-year-old millionaire, who was last week jailed for almost nine years for possession of $5.25 million worth of ice. 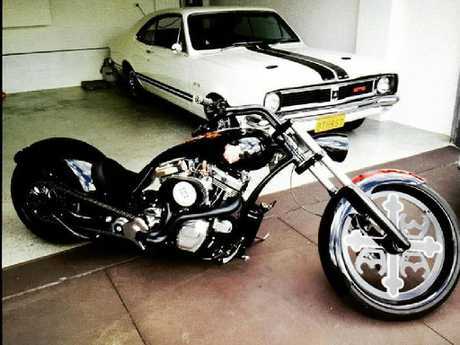 One of the self-described muscle-car enthusiast’s toys. This and evidence about Tesic having his ute destroyed by fire, perhaps "maliciously", was excluded from the trial, as were allegations in court documents that he "went to significant lengths to protect his criminal activities, such as paying NSW police officers sums of money in exchange for confidential information". In 2017, millionaire Sydney brothel owner Parry Bitsikas, 51, who describes himself in court as a "developer" from Dulwich Hill, put up a $500,000 surety for Tesic, secured against a $6 million block of land. Bitsikas is the sole proprietor of Orion Capital Pty Ltd, owner of "Sydney's best brothel", Tiffany's in Surry Hills. He received a one-year suspended jail sentence in 2009 for "accessory after the fact" of helping convicted gunman Bashar Ibrahim hide from police after he shot a man in 2006. But these details and others, such as Tesic's bikie links, were kept secret from the jury because his barrister argued they were unfairly prejudicial. Ivan Tesic with one of his motorbikes. Saul Holt, QC, argued in pre-trial hearings that the jury would be "inflamed" if they knew that Tesic's then-fiancee, bikini model Natalie Charalambous, now 29, had said to Tesic of Dark's injuries: "Fully what did they do? Chopped his ears right off or what?" on October 13, 2013. Tesic's response to Dark's injuries - "s*** f***n go weak c***" - was "bad character evidence" that suggested he wanted revenge, Mr Holt argued. The court file shows he also argued that the details of the ute being burned should be excluded because jurors could think it was "revenge for" Tesic "perhaps dealing in drugs". In a recorded conversation, Tesic allegedly said, "What goes around, comes around, f*** this!" and, "Ah well, I've burned sh** too", which suggested he had committed arson before, Mr Holt argued. In a call Tesic made to Charalambous from jail on September 28, 2014, he was alleged to have threatened to "knock" her, during a fight about "who left who" in their breakup. "You're saying you're going to knock me. What the f*** is wrong with you?" Charalambous replied. Two months later - on December 3, 2014 - during another prison call, Tesic was alleged to have said of Charalambous: "She'll still cop it. I'll move on, but f*** I'll move her nose to the other side of her face." Charalambous went on to date Tesic's lawyer, Adam Magill, and give birth to his love child. Tesic is now engaged to Katie Wighton-Calvani. Tesic lived the high life, spending $2.48 million over three years, according to court documents. 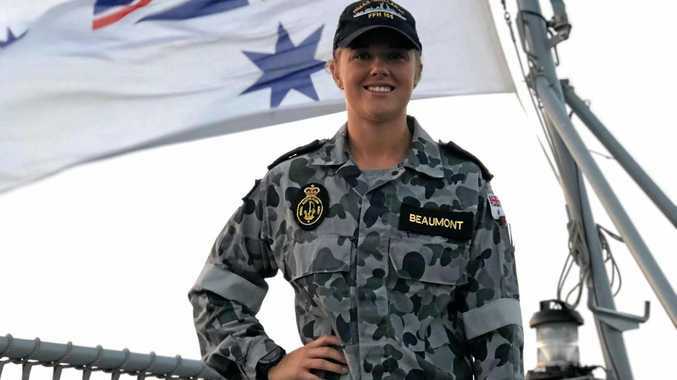 The officer in charge of the investigation into Tesic, Detective Senior Constable Brice Neilson, said in court documents filed in Tesic's bail hearings he "is … an aggressive, violent person". Police alleged in court that Tesic was heard telling people whom he suspected were police informants that he would "chop them on sight". 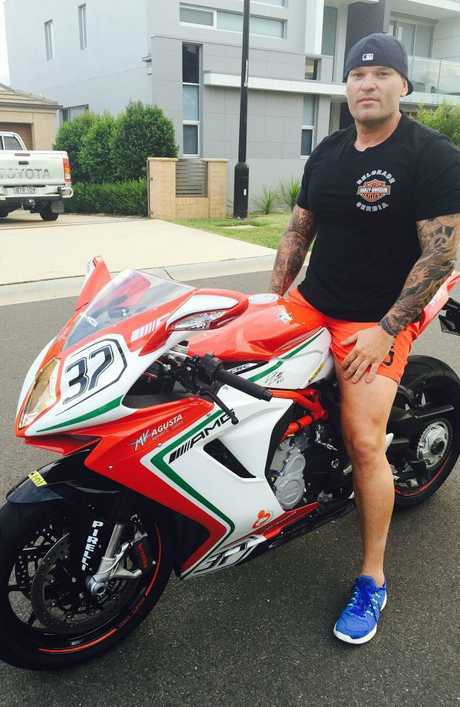 After he was freed on bail but before trial, police alleged Tesic hired a bodyguard in 2016 to protect him from Rebels bikies trying to collect a debt who allegedly shot up his Hoxton Park home. Tesic denied the shoot-up. 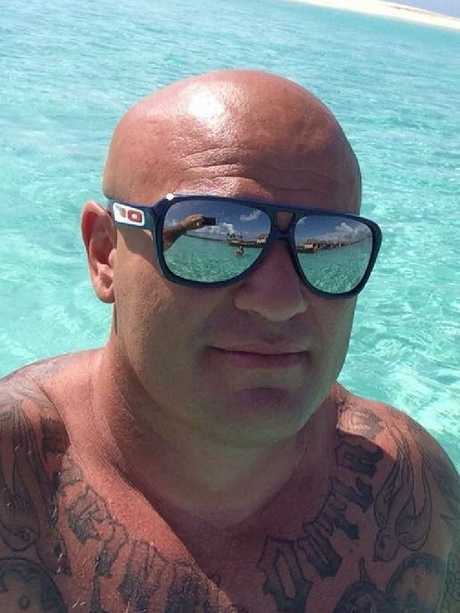 Police alleged Tesic hired Josaia Matanakilagi Qalovaki, 31, as his bodyguard. Qalovaki was wanted in NSW and Queensland at the time for breaches of parole, the court heard. Qalovaki later took responsibility for a gun and ammunition police found behind a gas fireplace in Tesic's Sydney house in May 2016. Charges of firearm possession were then dropped against Tesic. Tesic emigrated to Sydney in 1975 aged two. One of five children, he went to Cabramatta High School until Year 10, then did an electrical apprenticeship and labouring. He claims that in about 1996, he set up a business called SRB Towing, but police said when they tapped his phone, he took no calls about towing. 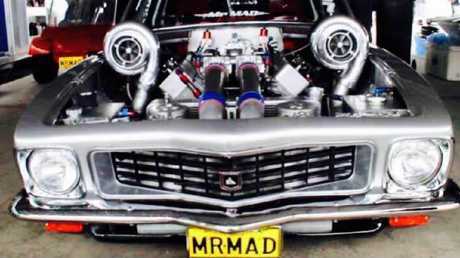 Tesic claimed during his trial he was just a "muscle-car enthusiast" who had invested well in mines in WA and property. 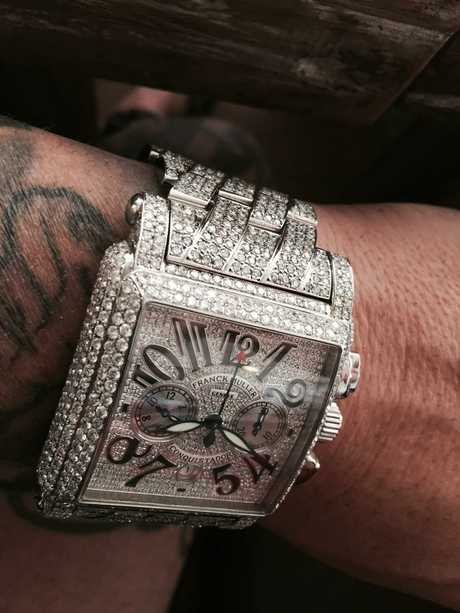 Over a three-year period to 2014, his total spending was $2.48 million, court documents state. Tesic claimed that while on bail he worked "fitting out" a TAFE, hospital and community centre in Sydney for his mate's company, Crown Projects Australia. Police also told the court in pre-trial hearings that phone taps showed he was a cocaine user. 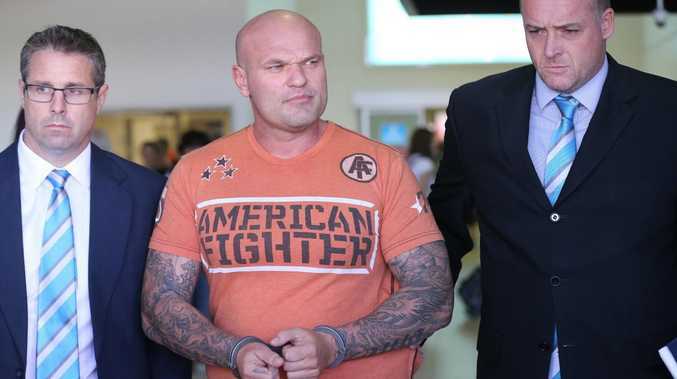 Tesic's 17-page NSW criminal history and his brief Queensland criminal history were tendered in court last week during his sentencing hearing. Court documents also not revealed to the jury show the Australian Taxation Office audited Tesic and he was slapped with a $220,544 bill for the 2011, 2012 and 2013 financial years. May 2016:Firearm found hidden behind a fireplace at Tesic's Sydney home, and ammunition found in a backpack in the laundry. Charges withdrawn after Tesic's friend, Josaia Qalovaki, claimed they belonged to him and were in the house without Tesic's knowledge. April 2011:Fined $1500 by airport police for possessing a prohibited weapon without a permit. June 2006:Fined $800 for driving unregistered, uninsured and unlicensed. April 2006: Fined $500 and disqualified from driving for two years for driving while suspended. October 2002: Six-year sentence for manufacturing a commercial quantity of amphetamines. September 2001: Fined $500 and disqualified from driving for six months for speeding in excess of 45km/h. Also sentenced to six months' prison for driving while disqualified. September 1997: Nine months in prison for break and enter, fined $300 for driver stating false name, and sentenced to six months in prison with an 18-month licence suspension for driving while disqualified. May 1997:Fined $400 for an unregistered car, $400 for an uninsured car, and given two months' periodic detention for dangerous driving. He was also handed a $100 speeding fine, two $250 fines for "plates calculated to deceive", a $250 fine for stating a false name and abode, six months' periodic detention for stealing a car, and a $300 fine for unlicensed driving. December 1995:Fined $100 for "entering enclosed lands". August 1994: Two-month "fixed term" sentence for possessing housebreaking implements capable of entering conveyance. August 1994: Six- month fixed term for driving while disqualified. May 1994: Sentenced to 18 months' jail for stealing a car. February 1994: Sentenced to six months' jail "fixed term" for receiving. April 1993: Six months periodic detention for stealing and receiving. March 1993: 100 hours community service for driving while disqualified. January 1993: $1000 recognisance and a two-year good behaviour bond for disqualified driving. October 1992:$85 fine for unlicensed driving. September 1992: $100 fine for unlicensed driving, and a $350 fine for stating a false name. September 1992:$500 fine for stating false particulars. October 1991:$400 fine, goods in custody. July 1991: $800 fine for driving unlicensed, unregistered and uninsured, and with plates calculated to deceive. February 2018:Breach of bail, conviction recorded. 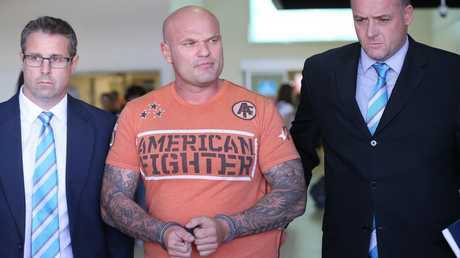 January 2014:Fined $600 for public nuisance (conviction recorded) for punching a nightclubber in the face outside Club Liv, in Surfers Paradise, in which Tesic was a part owner. September 2013:Fined $250 for breaching a bail condition (no conviction recorded). May 2012:Fined $500 for public nuisance (no conviction recorded) for yelling at bouncers at the Surfers Paradise nightclub Sin City "you'se c---s are f----d" and "dragging his finger across his throat".